코파카바나 해변 앞에 있는 Windsor Excelsior는 바다 및 슈거로프의 탁 트인 전경을 자랑합니다. 수영장, 바 및 피트니스 짐을 완비한 옥상 테라스는 호텔 최고의 자랑거리 중 하나입니다. Windsor Excelsior Copacabana는 현대적인 장식이 돋보이는 세련된 객실을 보유하고 있습니다. 넓고 밝은 객실은 모두 에어컨, 케이블 TV, Wi-Fi 및 미니바를 완비하고 있으며, 일부 객실은 바다 전망과 온수 욕조도 제공합니다. 투숙객은 24시간 룸서비스를 이용하실 수 있습니다. 레스토랑에서 바다의 멋진 경치를 감상하며 다양한 메뉴로 구성된 열대풍의 조식을 즐겨 보십시오. 브라질식 요리와 세계 각국의 특선 요리가 포함된 점심 및 저녁 식사 메뉴도 마련되어 있습니다. 편의 시설로는 피트니스 센터 옆에 자리한 건식 및 습식 사우나실이 있으며, 투숙객은 의자, 수건, 파라솔이 마련된 해변 시설도 이용하실 수 있습니다. Windsor Excelsior는 카르데 아우아르코베르지 지하철역에서 60m 떨어져 있습니다. 비치 발리볼 경기장은 800m, 산투스 두문트 공항은 9.4km 거리에 있습니다. Great location. 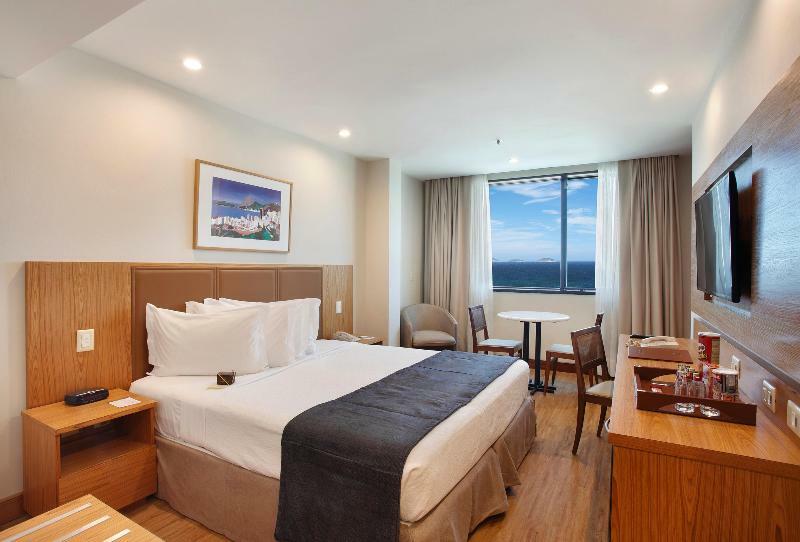 Kettle , coffee tea and milk should be allocated to each room for this 4 star rating hotel. Only reception staff could speak English and were helpful. Bathrooms should be upgraded - quite old. Not much food for vegetarians during breakfast. We liked this hotel, the view is perfect, but you be see it only for one day, then you have to see the city & be at the beach. is near by many facilities, if you like to walk, you can walk to Sugar Loaf too, is about 30min. you can use the metro (train), to go many places, it's really cheap, no need to hire a tour company. you'll safe allot of money. There are many super markets, barber shops, Restaurants & cafes around the hotel, the very good ones you have to walk 10-15min. Great and helpful hotel staff, Location was perfect across the Copacabana Beach, Breakfast was great ! Stayed for a week during the carnival. Overall, great experience - Staff, room, location, breakfast and the various hotel amenities were excellent. I would recumbent this hotel to friend and will consider staying there on my next vacation in Rio. Great view with the beach looking room. Warm thanks to the friendly and helpful hotel staff for making our stay so enjoyable. We spent two days in Rio during the world cup and would love to come back to the city and to this hotel. We loved every minute there. Beach front, Great roof top swimming pool, Beach service. We enjoyed our stay at the Windsor excelsior immensely. And would stay again. The price was a little high but it was during carnival. You have to pay 15$ per day for each device which was probably our only issue during our stay. The staff were very friendly but surprisingly lacking in English for an international hotel, however, this seems to be just rio and Brazil in general. 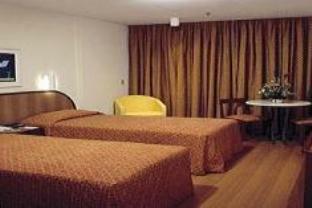 Friendly reception and house keeping staff. 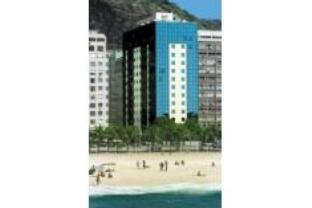 Clean rooms, great location on Copacabana and good value for money. Typical Windsor breakfast selection, small rooms, no bath but clean, bit noisy! Close to bars, beach, restaurants!! Bit noisy rooms, small, no bath but rest ok, clean. Wide breakfast buffet selection. Friendly staff. don't know what the regular rooms are like. because we were upgraded to the best room in the house, we had a great value for our money. Excelente hotel...por su ubicación, vista y atención del personal.